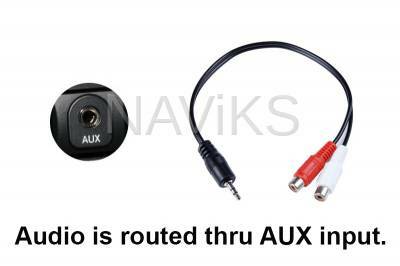 - 1 HDMI video input. - 1 Front Camera input. - Front view camera can be set to engage after rearview camera for up to 20 seconds OR at any time by the iDrive Joystick. 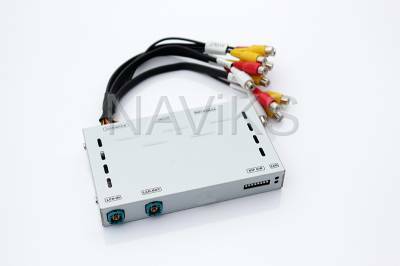 - Our HDMI video interface is Plug & Play but requires wire splicing into Power / CAN. 3. Power / CAN Harness.